Palmetto Plantation - Move in ready and meticulously maintained! MLS#3488006. Wilkinson ERA Real Estate. Autumn Cove At Lake Wylie - Low SC taxes with short commutes to airport and uptown Charlotte. MLS#3487264. Keller Williams Fort Mill. Montreux - MLS#3487898. Axhoj Realty. The outdoor living space is amazing with covered deck, front porch and private fenced back yard. Don't miss this home! MLS#3486146. Premier Sotheby's International Realty. Close to shopping and amenities, yet you feel like you are on vacation.....everyday! MLS#3484599. Keller Williams Ballantyne Area. Palmetto Plantation - Please allow 24 hour showing notice, with some exceptions. MLS#3487584. Carolina Living Real Estate. Reflection Pointe - HOA dues include tons of amenities (clubhouse, pool, walking trails, lighted tennis courts, community marina, AND community boat/trailer storage...included! ). MLS#3487234. Allen Tate Lake Norman. 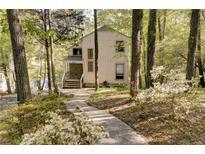 Reflection Pointe - This home truly offers a great lake living experience. MLS#3487261. RE/MAX Executive. Outside, the covered deck has recently been refinished with Brazilian Teak hardwood decking. MLS#3487167. Keller Williams Fort Mill. Mill Creek Falls - Neighborhood amenities are close by. Clover Schools! MLS#3487177. Stephen Cooley Real Estate Group. River Hills - All this and in award winning Clover School District and LOW SC taxes! Welcome home! ! MLS#3484714. Keller Williams Fort Mill. Look no further for your perfect Heron Cove home! MLS#3484405. Allen Tate Fort Mill. Riverfront - This will not last. A must see to appreciate. MLS#3482669. Real Living Carolinas Real Estate. Palm Tree Cove - Upstairs is utilized with a large loft, full bath, and bedroom. MLS#3486670. H&H Homes Realty, LLC. This one won't last long! MLS#3486716. Better Homes and Gardens Real Estate Paracle. Chapel Cove - The neighborhood includes access to a fitness center, a clubhouse large enough to host private parties, pool, walking trails, tennis courts and more! 13 MONTH HOME WARRANTY INCLUDED! ! MLS#3483340. Costello Real Estate and Investments. Sunset Point - Home comes with a 30-day buyback guarantee. Terms and conditions apply. MLS#3486249. Opendoor Brokerage LLC. Close to major highways and downtown Charlotte! MLS#3486762. ProStead Realty. Too many lovely architectural touches throughout this home to list them all, you simply must see this custom beauty in prestigious Water Edge. It won't disappoint! MLS#3484385. Rinehart Realty Corporation.